It's time for the third album on Family Grooves, so it's got to be something special, right? 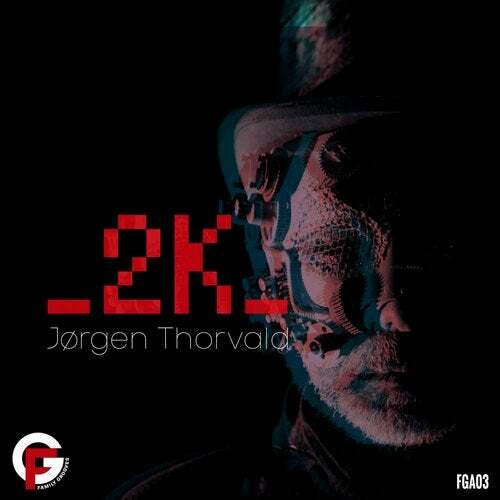 'Jørgen Thorvald' project was born in collaboration with NoiseCube Production. The sound inspiration came from the electronic movement of the 80's with analog synthesizers and drum machines, looking for a blend between 'Krautrock' and today's vibrations. Jørgen's live set combines analog and digital approach, fulfilled with his beautiful graphic visuals. After the release of the first album 'White Noise', Jørgen did a tour and got great feedback from promoters, audience and musical insiders. Now it's time for a brand new album, and he's gonna hit the road again, this time with a fresh live set, called 2k, exploring different rhythms and dance sounds in a vintage frame set. Produced by Jørgen Thorvald and mixed by Gionata Bettini at NoiseCube Production. Graphics design by Kitchen Studio.